I am certainly no expert at blogging. I go in spurts. I don’t write my own coding. I use the fonts, styles, and themes from the platforms that I use. I don’t even have my own domain. But, I will shout from the rooftops the benefits of writing, sharing, collaborating, and reflecting in a public space. When I first started blogging, I felt like I had to contribute to conversations about broad educational topics. I set goals for myself that weren’t fitting of my skills or desires. It wasn’t until I realized that my gift, my niche, was in simply sharing what I do, that I found a rhythm. Don’t let anyone else define for you what your blog should look like. Find your own way. You’ll thank yourself. In case you still aren’t convinced, Edudemic put out this great list of 3 reasons why you, as an educator, should be blogging. Here is a quick tutorial on how to set up a Blogger account. Blogger is a free, easy to use service based on your Google account. I’ve found it to be the most user friendly! I was so inspired by the 12 Days of Techmas Challenge that I decided to make my own. I really want to be a more consistent blogger, so I liked the element of accountability that comes with a calendar or list. I decided to brainstorm some topics that I know I would enjoy writing about, and put them into my own challenge. I created 20 days worth of prompts that I am planning to use in January. That gives me a few days off, but also works on building new habits. I thought I’d share for two reasons. First of all, when I share, I am way more accountable. Second, I thought you might want to join me. If so, please share your posts here, on Twitter, or SOMEWHERE! Check out this video on why kids should learn, at very least, the basics of computer coding. Find more info at http://code.org/promote. 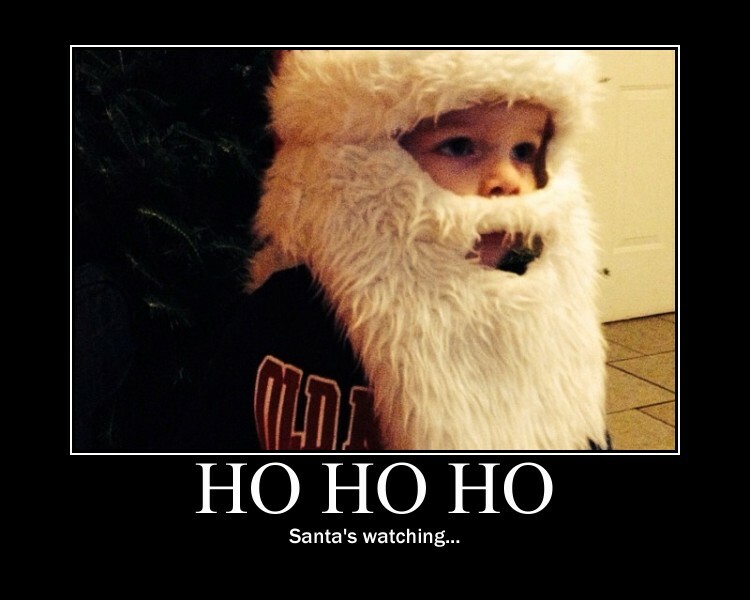 Big Huge Labs… Ho Ho Hum? Today’s challenge was to use Big Huge Labs to create something with an image. To be honest, I was not impressed. I love the ideas behind what was there, but I had the hardest time getting images to upload and didn’t find it to be user-friendly at all. Don’t get me wrong. I will give it another shot, but I’m concerned about ease of use with my students if I can achieve a similar output with a simpler tool. Anyone have any tips for me that I might have missed? 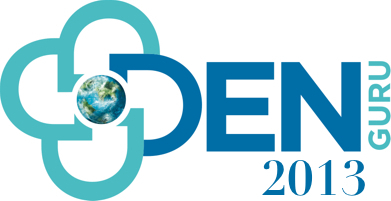 Kenan Fellows Application Open Now! As I look back at the three professional development experiences that we have had through our Kenan Fellowship, a few key ideas come to mind and they are best described with a plant metaphor. I am not a gardener, so I may not do the art of growing justice, but I will give it a shot. Seeds: The PD institutes we have experienced haven’t been enough to fully grow a garden, but they have been able to plant seeds. Whether it was the use of Augmented Reality in the classroom developing as teacher-leaders, we were exposed to a variety of gardens to grow. There is no way to grow each of these types of seeds, but I think we have all found a specific seed or two that we are wanting to cultivate. For me, these include growing my use of social media in the classroom and developing as an advocate for change in education that is student-teacher-leader focused. Roots: While there may not yet be tons above the surface, the professional development institutes we have shared have built strong roots for growth. The foundations of knowledge and experiences we have shared have been exceptional at meeting us “where we are” and allowing us to move forward from those points. As a PD leader myself, I’m often the “feeder” but miss out on the opportunity to “get fed.” Our sessions, many with people I have known for ages (like Paul and Jason), gave me the chance to just sit, learn, and grow. Time: At this point, I’m just looking forward to time. I need time to process, time to reflect, and time to forge a new path for leadership that fits my needs, desires, and personal mission. Fruit: My Kenan Fellows experience is bearing fruit in ways that I hadn’t anticipated… new friendships, increased professional opportunities, engagement in my own teaching, and learning benefits for my students. 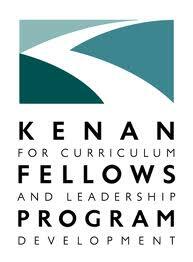 Applications for the Class of 2015 Kenan Fellows are open now. Please take the time to consider this opportunity. It is not for everyone. It’s time consuming. It’s demanding. It’s hard work. But, it’s also an exceptional opportunity for professional growth, networking, and fun! If you have any questions, feel free to get in touch! Little Bird Tales – Whoa! I started playing around tonight with Little Bird Tales. Whoa! This is so awesome. I started one based on some photos that I took today while my fifth graders were working on science labs on chemical and physical changes. I could totally see some of my students using this as a publishing tool, and I will definitely working on sharing it with my K-2 teachers. 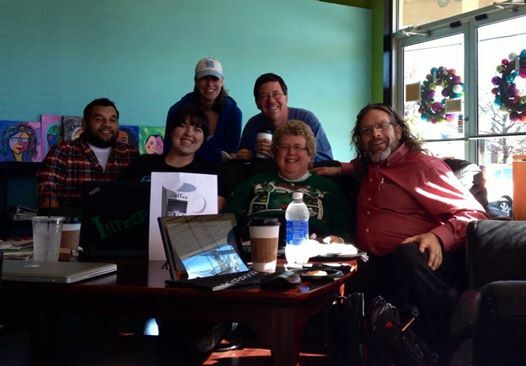 Thanks to Dennis, North Carolina held our first #coffeeCUE session – bringing a little west coast to the east! Today’s lesson: Don’t make too many silly comments on Twitter about someone else’s More Homework Meme 🙂 I enjoyed reading Paul Cancellieri’s post , but I ended up being tagged by my friend (although someone I see FAR too infrequently) Bill Ferriter. It’s time to grab another cup of coffee, and here goes! I have never seen the complete Star Wars movies nor a single episode of Star Trek. I was a French major in college and spent a semester studying at the Sorbonne in Paris. McGyver and Leroy Jethro Gibbs are my all time tv crushes. I believe napping is an inalienable right that deserves its own Constitutional amendment. 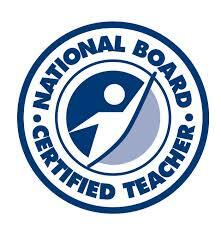 In my 15 year teaching career, I have taught at 9 schools in 8 different districts across North Carolina. The longest I’ve spent in one school is 3 years. David asked me to marry him 4 months after our first date. This was longer than either of our sets of parents dated before getting engaged. At my first doctor’s appointment for our first pregnancy, I asked the ultrasound technician if she was sure there weren’t two babies. She laughed, and then she realized that I was right. I knew I was having twins. After she saw the second one, I told her to quit looking. That was enough. I know what to do if your long, coarse, curly-haired dog gets covered in a jar full of Vaseline. Hot and Now Krispy Kreme donuts gross me out. I love their glazed donuts and could eat a dozen in one setting, but will only eat them if they are cold. I am a classically trained pianist. I took lessons for over 10 years and entered many competitions. I have even performed at Thalian Hall in Wilmington. I even played in the jazz band in high school. Next, I am expected to answer 11 probing questions posed by Bill. Grande Soy Green Tea Frappuccino with Extra Whip or House Blend Black? House Blend Black. Coffee makes me happy. Rate graphic novels on a scale of 1-10, with 1 representing “useless” and 10 representing “simply amazing.” I’ll go with 5 out of pure ignorance. I’ve only read one comic book in my entire life, and it’s one that my grandmother had in her toy closet when we went to visit each summer in Indiana. I get the idea of them, and I have reluctant readers that will go for them every day. They can’t be all bad. What member of your digital network has had the greatest impact on your professional growth? I’m going to go with Dan Froelich. Dan was the leader of the technology part of NC Teacher Academy when I came on as a trainer in 2008. Thanks to him and NC Teacher Academy, I got to be a part of many engaging trainings and conversations about edtech! How do you feel about the holidays? I have Christmas curtains for the windows, holiday sheets for the beds, and no less than 10 giant totes of holiday decorations. I will let you draw your own conclusions. What is the best gift that you’ve ever gotten? Before my Grandmother passed away, she gave me her mother’s wedding ring and a ring that my great-uncle got when he was serving in WWII in Germany. I wear them everyday, on the same finger. Family first. Always first. What are you the proudest of? OK, so I’ll re-establish my friendship with Paul on this one. My kids, hands down. The twins are 10 and at the age where we argue, a lot, but they are outdoor loving, book reading, momma hugging boys who are caring and compassionate. I couldn’t be more proud to be their mom! What was the worst trouble that you ever got into as a child? I don’t know if it’s the worst trouble I ever got into, but I used to torment my little sister. Until she was in middle school/I went to college, I could convince her to do some really strange things. My parents weren’t so excited about that. What was the last blog entry that you left a comment on? What motivated you to leave a comment on that entry? It would be one of the posts at http://denblogs.com! I love that the posts cross curriculum and geography. Now, I come up with 11 questions for others to answer. What is one skill you wish that you had? Why? If you weren’t an educator, what profession might you have chosen? What is your favorite read aloud to share with students or with your own children? What is one book you consider to be a professional “must read”? If you had 3 hours completely to yourself, what would you do? What is your strongest scent-related memory? If you could pass off one chore for the rest of your life, what would it be? In other words, what one daily/weekly chore do you just abhor? Here are the 11 bloggers I nominate to continue the More Homework meme. List 11 bloggers, and let all the bloggers know they have been nominated. Don’t nominate a blogger who has nominated you. I had a blast playing with Voki for today’s Techmas challenge! I am excited to use this more with my students, but I always want to keep the content first. For me, using this as the best instructional tool is sometimes not as obvious as other tools. I do think it would be a great addition to our class blog, though, with some welcoming information.